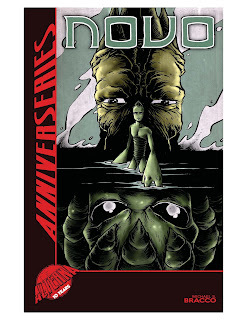 The Fellowship was fortunate enough to obtain a copy of ALTERNA ANNIVERSERIES: NOVO from Alterna Comics. Michael S. Bracco writes, draws and colors. Novo is young, and he’s still learning about the world. His ma-ma has told him stories of her people, the Terans, and how they were destroyed by the evil sea people, the Aquans. His ma-ma says she is old, and when she stops moving, Novo decides that he must go on without her. He’s sad, but he knows he has to find what he’s looking for. He has to find his father. Novo is a good kid, and that alone would make this a good origin story. But he’s also alone (or so he thinks) in a world that he doesn’t understand yet. He’s got a long way to go, but he’s curious and capable. It’s easy to pull for him, to hope that he finds his way. The art is impressively detailed and expressive, and that can be really hard to do in black & white. Here it works beautifully, giving us a stark image of the world around poor Novo. It’s a moving story about a young person in a hostile world trying to learn how he fits into it. Don’t pass this one up. 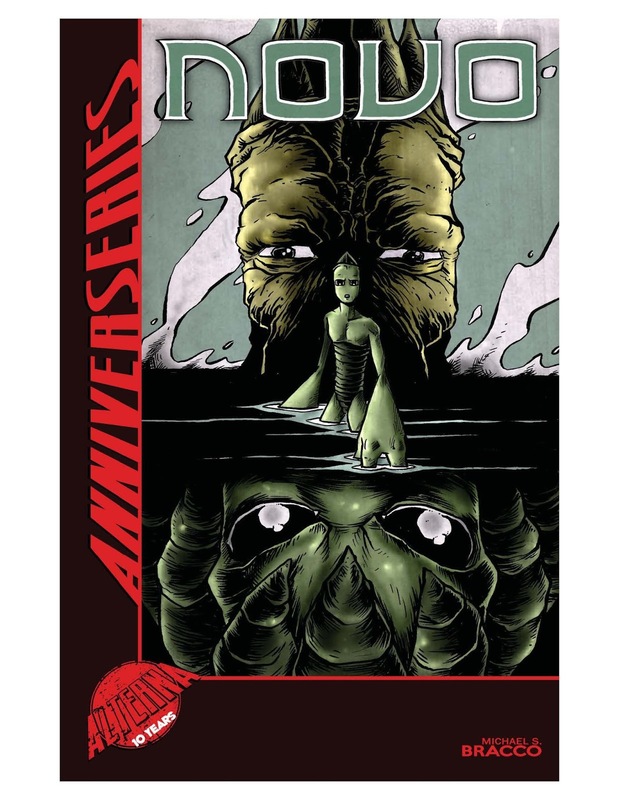 ALTERNA ANNIVERSERIES: NOVO is available now on comiXology or at alternacomics.com.